The world of online lending makes it much easier to get funding for home improvements, debt consolidation, medical bills, or other financial needs. It’s also easier for scammers to trick unsuspecting consumers. Scammers can pose as legitimate lenders and trick you into paying for a loan upfront. Or, they can lock you into loans with higher interest rates and fees than you actually qualify for. Be on the lookout for both of these when you’re looking for a lender. When you’re shopping for an online loan, watch out for these red flags to avoid losing your money or your personal information to a scammer. The lender asks for an upfront payment. A down payment is requires when you’re borrowing money to purchase property - like a home or a car. The down payment goes to the owner of the property not to the lender. Watch out for any company that asks for payment before you’ve been approved or before you receive the loan. It’s even more suspicious if the lender asks you to send the money via wire transfer or another untraceable method. The lender doesn’t require a credit check. The majority of lenders check your credit before approving loan application. Beware of lenders who guarantee you’ll be approved regardless of your credit. While there are some newer fintech companies that use alternative information to approve applications, you should tread carefully with any company that promises to give you a loan without any indication of your likelihood of repaying. The lender advertises to you via email. There are lenders who use email marketing to attract new customers, so an email doesn’t automatically mean the loan is a scam. 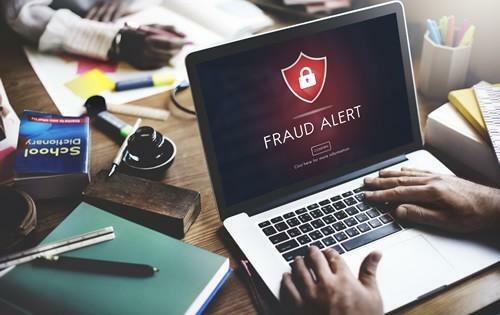 However, if the email urges you to apply right away by clicking a link, makes an offer that’s too good to be true, or guarantees loan approval, it could be a scam. If you’re considering applying for a loan with a company, go directly to their website by typing the address in your browser rather than clicking a link in an email. There’s a sense of urgency. Many sales representatives have a sales quota to meet, so a level of eagerness for your business may not be alarming. However, it should raise a red flag if an online lender is pressing you to make a fast decision by giving you a deadline or urging you to act quickly. If the lender is legitimate, the opportunity to apply for the loan will still be there tomorrow or next month. The lender is unprofessional or uses incorrect spelling and grammar. Reputable lenders maintain a certain level of professionalism. If you find lots of spelling or grammatical errors in emails or on the company’s website, either the company doesn’t have a strong attention to detail or they’re not a legitimate lender. Neither quality makes the lender ideal to work with. Companies that don’t pay attention to detail could be painful to work with in the future. There could be errors with your application. Payments may be applied incorrectly. Or there could be errors in reporting your information to the credit bureaus. When you’re looking for an online loan, it’s important to be on the lookout for scammers. No matter how eager you are for an approval, keeping your money and your information safe is most important.